With how hot Singapore is, it’s always a good idea to chill out with ice cream. 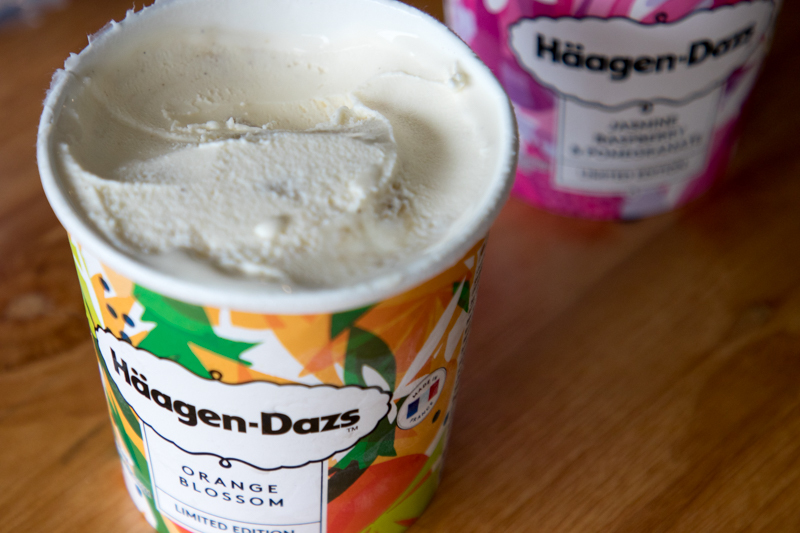 If you’re feeling the heat, Haagen Dazs has released two new refreshing flavours to cool you down. 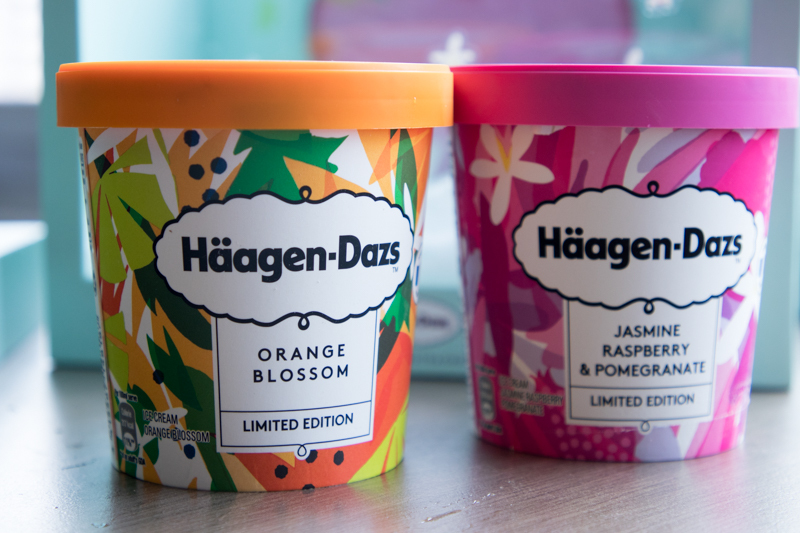 We simply had to try new flavours: Orange Blossom (S$14.50/pint, S$13.90/pack of stick bars) and Jasmine Raspberry & Pomegranate (S$14.50/pint, S$13.90/pack of stick bars). The first mouthful of Orange Blossom ice cream tasted almost like the popular cultured milk drink, Yakult, packed with tangy flavours. The rich creaminess helped to bring all the sharp citrusy flavours of the orange and the sour yet mildly sweet yoghurt-like flavours together. In contrast, the Jasmine Raspberry & Pomegranate (S$14.50/pint, S$13.90/pack of stick bars) had a strong floral flavour from the jasmine. 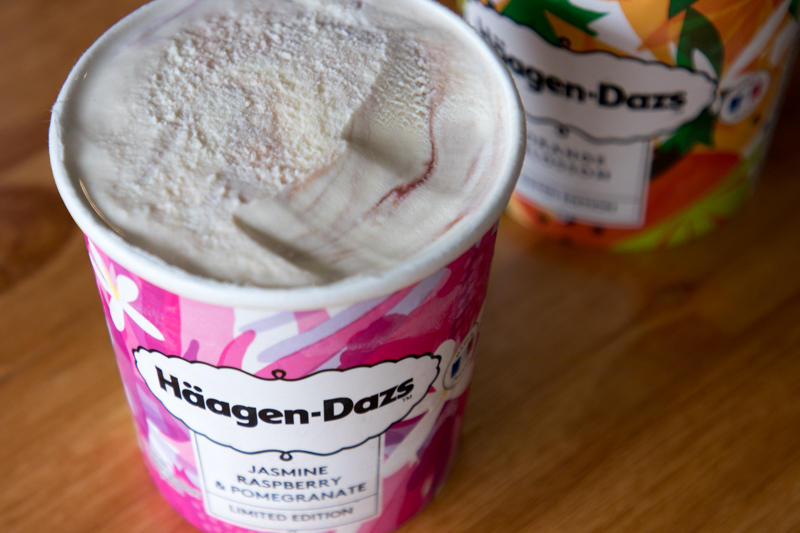 The tart raspberry and pomegranate cut through the rich ice cream, balancing out the sweetness. I liked how the prominent floral notes lingered in my mouth. Overall, I still preferred the Jasmine Raspberry & Pomegranate (S$14.50/pint, S$13.90/pack of stick bars) which had different layers of flavour. The tart raspberry and pomegranate flavours ended in an elegant and delicate lingering jasmine fragrance. I just couldn’t stop myself from finishing off the ice cream. 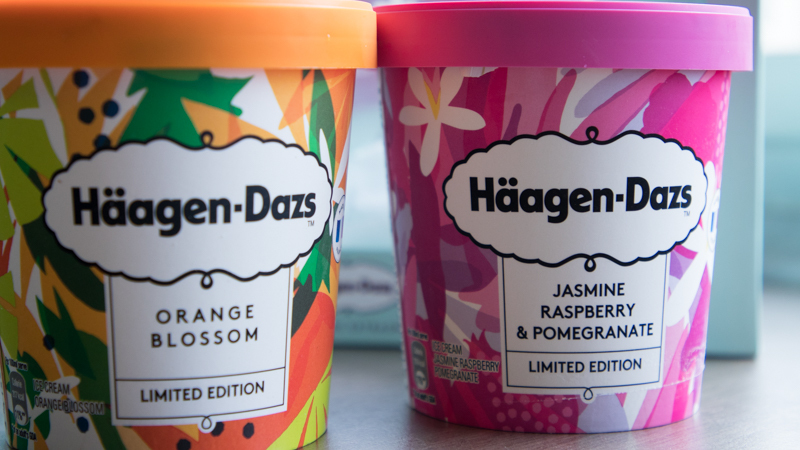 Grab a pint of these new, limited edition flavours now, for some Netflix and literal chill!